It's also possible that the Israelis could be working to try and confirm if Russia has been supplying Syria with new S-400 weaponry. Situation is still developing since an hour ago. As always, thank you Lilbitsnana. Iran's issues might get solved internally. I don't know about that. Desperate regimes do desperate things. The protesters aren't the ones with access to military weapons and/or nukes Iran may or may not have. Israel is not worried about Iranians being in Iran by Syria yes. Israel just wants them out of Syria. Later on Russia, Turkey and Iran will join together and attack Israel. They are in fact already together but the U.S. has first got to be taken care of. The Iranian-backed militia "Zulfiqar Brigade" officially declared it participates in the #Daraa offensive. Golan Heights and Jordan both border that area of Syria. 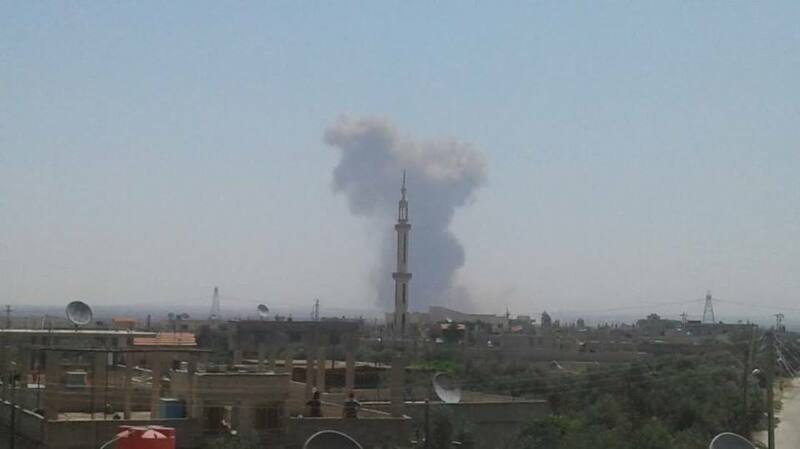 BEIRUT, LEBANON (1:25 P.M.) – For the first time this year, the Syrian Arab Air Force (SyAAF) has launched air raids over the Islamic State’s (ISIS) positions in southwest Daraa and southern Al-Quneitra, a military source told Al-Masdar News. According to the source, Syrian Air Force jets struck the Islamic State’s positions near the border of the Israeli occupied Golan Heights. The source added that the Israeli military did not interfere during the Syrian Air Force’s attack along their border. This aerial attack marks the first time in four years that the Syrian Air Force has conducted airstrikes in this part of the Al-Quneitra and Daraa governorates. #Iran has reportedly reopened a nuclear plant that has sat idle for nine years its atomic energy agency stated on Wednesday. Chief of Staff Eisenkot missed today's Air Force graduation. Reports say he was urgently called to the US to confer with the Joint Chiefs of Staff. The topic of the sudden meeting was not disclosed. Rumours/reports of Israeli strikes near T4 airbase are unfounded and incorrect, no reports of activity over #Homs or near the base itself. It does not bode well for Israel to have Hezbollah (and Iran) in South Syria. A RAF Typhoon bombed pro-Assad forces to protect a SAS training base in the Syrian desert - see tomorrow’s Sunday Times. IDF: Following an assessment this morning, the IDF has increased artillery and armored assets in the north. #Breaking: IDF says it has reinforced the Northern border with additional artillery and armoured units due to the current situation in Da'ara. #Breaking: #Hezbollah warns #Israel that any attack against targets in #Lebanon will open up a front against #Israel in the #Golan. 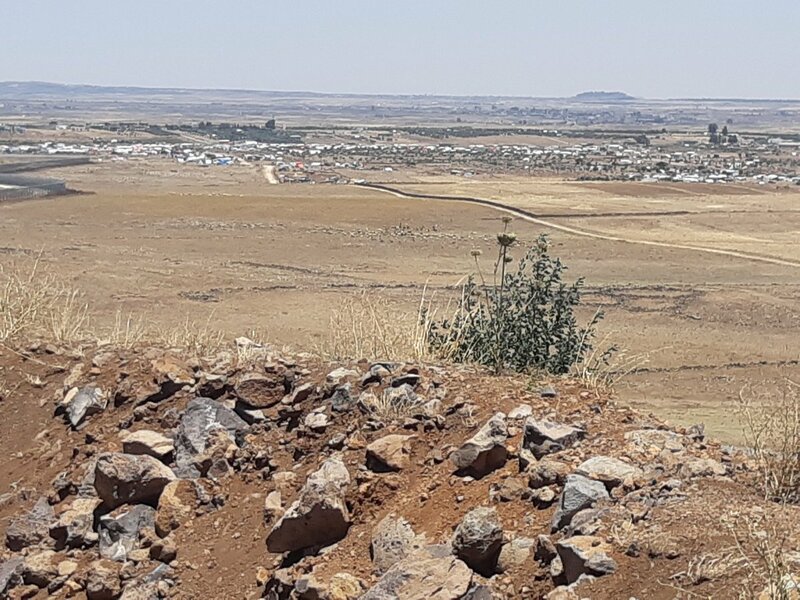 200.000 people from #Syria's #Daraa have fled to the border with #Jordan and the #Golan Heights. The Israeli military has reportedly drawn its "red lines" for the ongoing fighting between the Syrian government and militants along its northern border, ruling out a direct clash with pro-Assad forces and claiming that they alone must take over the conflict zone. Tel Aviv urges Damascus to stick to the 1974 disengagement agreement, which provided for a buffer zone between the two countries, Israeli Prime Minister Benjamin Netanjahu said at a cabinet meeting on Sunday. He added he is "in continual contact" with the US and Russia on the situation in southern Syria, which is the site of clashes between pro-Assad forces and militant groups. Netanyahu reaffirmed Israel's committment to border security. He also promised that Tel Aviv would provide humanitarian assistance and wouldn't take in refugees from the north. The PM's statement came the same day the Israeli army said it beefed up its presence near the Golan Heights border with Syria with tanks and artillery. The Israeli military also said it would stick to its policy of non-intervention in the Syrian conflict. The IDF made the remark shortly after Haaretz said Israeli defense officials ruled out a direct confrontation between the IDF and the Syrian Army in the wake of a pro-government offensive against the al-Nusra Front and Daesh* terrorist groups in southwestern Syria near the border with Israel. According to Israeli officials cited by the media outlet, pro-Assad forces must be the only ones to enter the conflict zone near Israel's de facto northern border and take control over it when the strife is over, while Tel Aviv does not intend to allow other forces and armed groups to take over the area or join the Syrian army. In a meeting between senior defense officials, Israel addressed an array of scenarios it would not tolerate from the Syrian troops or other forces in the area, the report says. Israel is also keeping a close eye on the situation in the area, to verify which forces are affiliated with President Bashar al-Assad. The report comes shortly after the IDF were put on high alert in the disputed Golan Heights, preparing for potential side-effects from the strife near the country's northern border. The move was made following the Syrian army's advances against insurgents during the ongoing aerial and ground-based anti-terrorist offensive the local government has launched in the territories near the border with Jordan and Israel. Tens of thousands of civilians living in the conflict zone began to flee towards the Israeli-held Golan Heights as the government forces pushed deeper into the area. In response to a massive influx of Syrian asylum-seekers in Israel's north, Defense Minister Avigdor Lieberman claimed that although Tel Aviv wouldn't take in refugees, it was ready to provide humanitarian aid. Israel's annexation of the Golan Heights has been condemned by the international community, with the UN recognizing the Golan Heights as occupied Syrian territory. In 2016, Benjamin Netanyahu declared that Tel Aviv would never return the Golan Heights to Damascus; the territory was annexed by Israel in 1981 after their seizure from Syria during the 1967 Six-Day War. The Golan Heights buffer zone was created in line with the 1974 disengagement agreement which followed the 1973 Yom Kippur war, in which Syria failed to retake the disputed area. 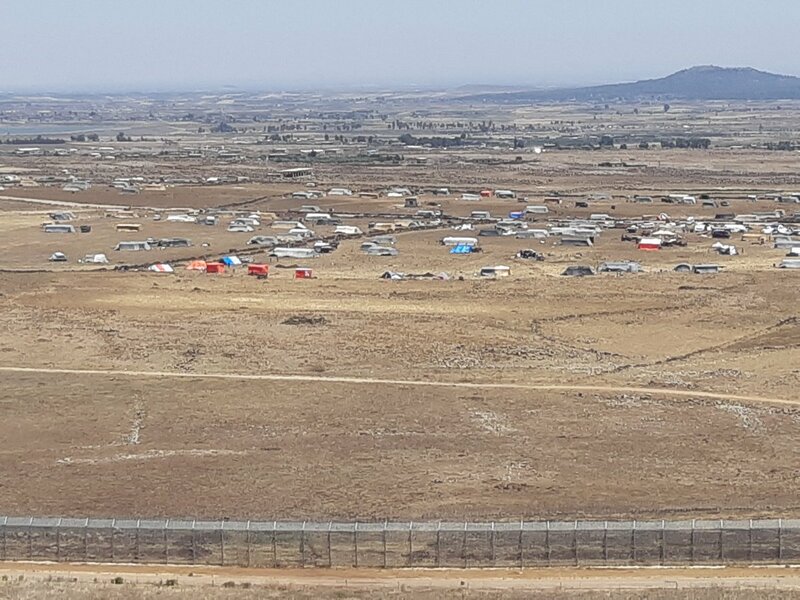 Two new Syrian refugee camps set up by the Israeli Golan border in the last few days since the bombardment of Daraa began. Hezbollah warns Israel: Don't attack Lebanon, or we will work with Iran to destroy you. Warning comes after a number of political figures publicly stated a front in Lebanon may be opened. The message was relayed through France. #BREAKING: Head of the Israeli Shabak intelligence agency met today with ex #Israel-i PM Ehud Barak, warning him of a serious assassination threat by #Iran against him while he will be outside of Israel. I knew a young Iranian boy/man back when I lived in Cali. He was very smart, well educated, well mannered, spoke excellent English and was extremely wealthy. Either they only select stupid people for the military and leadership or they all take stupid pills. Mystery solved. #Iran official claims Israel has been stealing their clouds and causing a drought in the country. It sound more like Russia was there to stop Jordan, not Syria.